Quick overview Wireless keyboard and mouse set features three-year battery life and a tiny unifying, wireless receiver that stays in your laptop and lets you add devices as you need them. Low-profile keyboard features Incurve keys and a cushioned palm rest. Concave keys position your fingers properly. Hyper-fast scrolling lets you fly through long documents with the nearly frictionless scroll wheel, or shift to precise click-to-click scrolling to navigate lists, slides and image collections. Advanced 2.4 GHz wireless connectivity offers encrypted, secure cordless technology for reliable connection with virtually no lags or dropouts. The LCD dashboard gives you at-a-glance icon status of your battery, Caps Lock, Scroll Lock and Num Lock, so you won't skip a beat while typing. 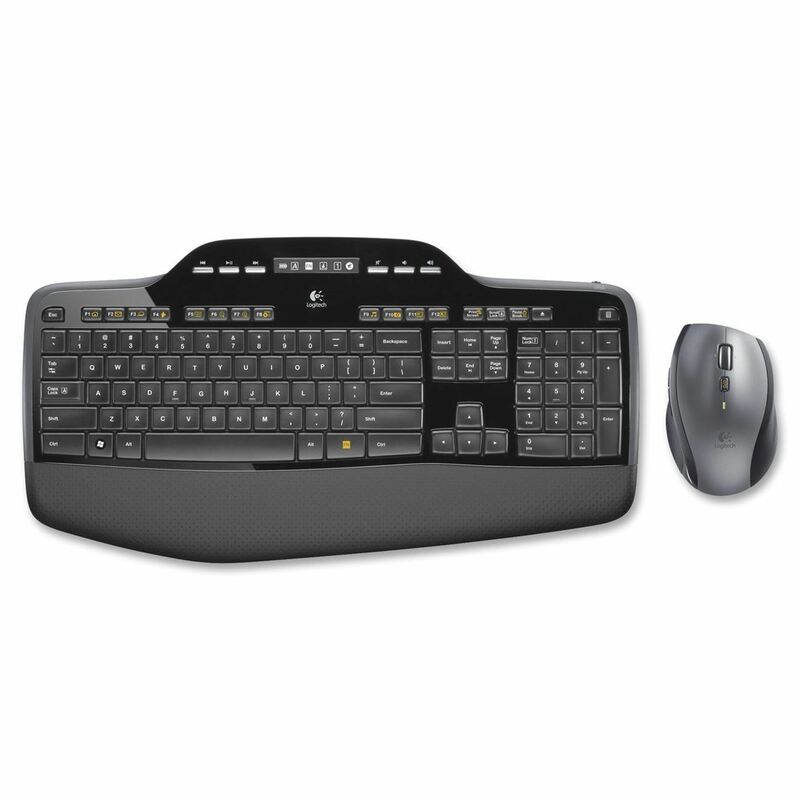 Keyboard and mouse are compatible with Windows XP, Windows Vista or Windows 7 and include USB 2.4Ghz unifying receiver, four AA alkaline batteries, and CD with software.